The area wasn’t farmed intensively until the French started planting coffee, rubber trees and bananas in the early 20th century. Many of the French planters left following independence in the 1950s and the rest followed as US bombardment became unbearable in the late ’60s. 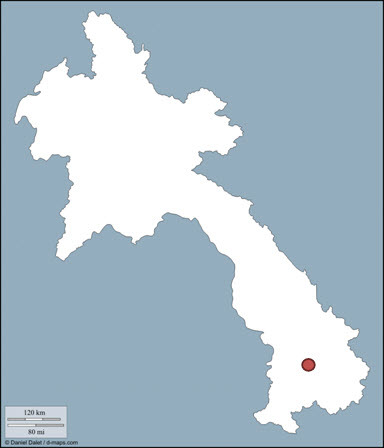 Controlling the Bolaven Plateau was considered strategically vital to both the Americans and North Vietnamese, as evidenced by the staggering amount of UXO (unexploded ordnance) still lying around. The largest ethnic group on the plateau is the Laven (Bolaven means ‘home of the Laven’). 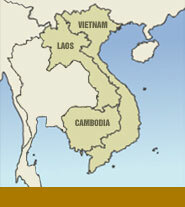 Several other Mon-Khmer ethnic groups, including the Alak, Katu, Ta-oy (Tahoy) and Suay, also live on the plateau. Katu and Alak villages are distinctive because they arrange their palm-and-thatch houses in a circle. One unique Katu custom is the carving of wooden casketsfor each member of the household well in advance of an expected death; the caskets are stored beneath homes or rice sheds until needed.